We think we know our face. We know the shape of our nose, the shape of our chin, the color of our eyes–but what does it really mean? Through meditation, we can see and feel a greater sense of our reflection, our true face. Lama Tsultrim Allione, author of WISDOM RISING, reveals how to find that reflection. You should therefore cease practice based on intellectual understanding, pursuing words and following after speech, and learn the backward step that turns your light inwardly to illuminate your self. Body and mind of themselves will drop away, and your original face will be manifest. If you want to attain suchness, you should practice suchness without delay. As we work with the five wisdom dakinis and their families, we should know that the real meaning of wisdom here is the wisdom of knowing one’s original face. In considering the spaciousness of the wisdom aspect of the buddha family, we can see how the family’s encumbered pattern has the potential for the wisdom in it. In other words, while the problem you may face in the encumbered pattern is spacing out, the wisdom of this family is actually being in a state of spaciousness, while being present and aware. The wisdom is one of total accommodation; there is an incredible vastness—we may call it a sky-like awareness or the wisdom of totality—that is constantly accommodating and holding in the fullest way all our thoughts, feelings, sensations, and experiences. Spaciness becomes spaciousness when it is transformed. Have you heard of transcendental meditation? Learn more here. Excerpted from Wisdom Rising by Lama Tsultrim Allione. Copyright © 2018 by Joan E. Allione. Used by permission of the publisher. All rights reserved. Through her own story of loss and spiritual seeking, paired with mandala meditations and rituals, bestselling author of Feeding Your Demons Lama Tsultrium Allione teaches you how to embody the enlightened, fierce power of the sacred feminine—the tantric dakinis.Ordained as one of the first American Buddhist nuns and recognized as an incarnation of the Mother of Tibetan Buddhism, Lama Tsultrim has a unique perspective on female strength and enlightenment. 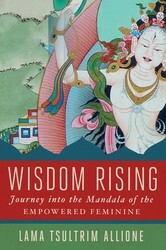 In Wisdom Rising, she shares from a deep trove of personal experiences as well as decades of knowledge as one of the preeminent teachers of the mandala of the five dakinis. Dakinis are a type of Buddhist female spirit comprised of five families, each with a set of unique qualities, as well as an encumbered pattern or emotional block that gets in the way of your true brilliance: Buddha dakini—ignorance to the all-encompassing wisdom; Vajra dakini—anger to the mirror-like wisdom; Ratna dakini—pride to the wisdom of equanimity; Padma dakini—craving to the wisdom of discernment; Karma dakini—envy to the all-accomplishing wisdom. As a Buddhist nun, Lama Tsultrim yearned to become a mother, ultimately renouncing her vows so she could marry and have a child. When she subsequently lost her first child to SIDS, she was overcome with grief and unsure of where to turn for guidance. She once against found courage through Buddhist female role models and meditations, and, using the mandala of the dakinis, she transformed her pain into faith. Tantric Buddhism developed the mandala as a mediational tool for transformation—a map for integration and wholeness. And through the mandala of the five dakinis, we learn how to embrace the fierce feminine energy of the dakinis. 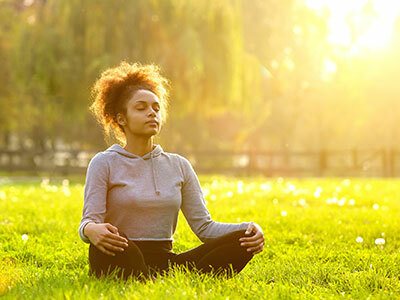 Rather than trying to remove or repress their patterns in our lives, you will instead discover how to transform them into wisdom through meditation, sound, visualization, and other practices. Both practical and inspiring, Wisdom Rising guides you to explore an ancient yet accessible path to enlightenment.